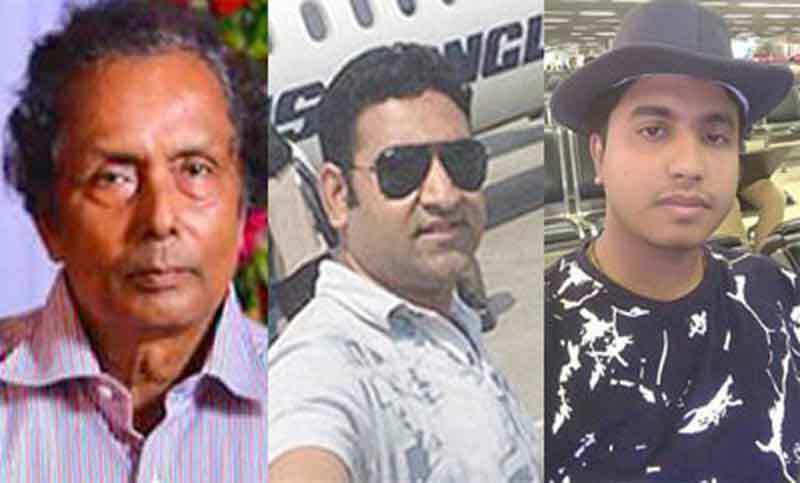 The bodies of three other Bangladeshis, who were killed in the US-Bangla plane crash in Kathmandu, arrived in the capital on Thursday afternoon, UNB reports. A flight of Biman Bangladesh Airlines, carrying the bodies, landed at the Shahjalal International Airport at 4.09 pm, said Tasmin Akhter, assistant manager (PR) of Biman Bangladesh Airlines. Later, the bodies were handed over to their respective families in presence of Civil Aviation and Tourism Minister AKM Shahjahan Kamal and high officials of the ministry, said Md Kamrul Islam, General Manager (GM), Marketing Support and PR of US-Bangla Airlines. The three victims are - Alifuzzaman, Nazrul Islam and Piyash Roy. They were identified on Wednesday. Earlier on Monday last, the identified bodies of 23 Bangladeshi passengers were brought back here by a cargo aircraft of Bangladesh Air Force. The 23 victims are—Foysal Ahmed ,Bilkis Ara ,Begum Hurun Nahar Bilquis Banu , Akhtara Begum, Nazia Afrin Chowdhury , Md Rokibul Hasan , Sanzida Huque, Md Hasan Imam , Meenhaz Bin Nasir , Akhi Moni, F H Priok ,Tamarra Prionmoyee, Md Motiur Rahman, S M Mahmudur Rahman, Tahira Tanvin Shashi Reza, Umme Salma, Aniruddha Zaman , Md Nuruz Zaman , Md Rafiquz Zaman, Pilot Abid Sultan, Co-pilot Prithula Rashid, Crew Khwaja Hossain Mohammad Shafey , Crew Sharmin Akhter Nabila.